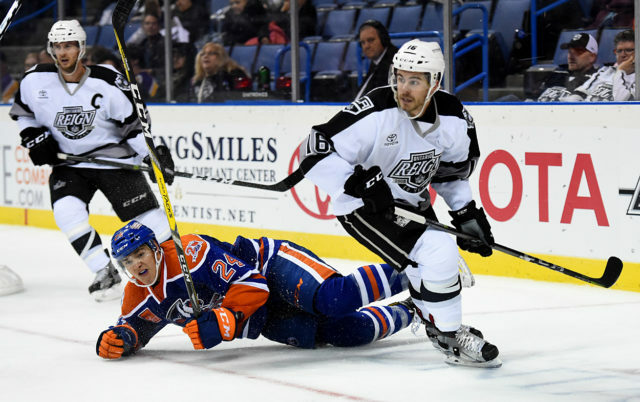 The Ontario Reign announced today that they have re-signed forwards Philippe Maillet and Sam Herr to AHL contracts for the 2018-19 season. 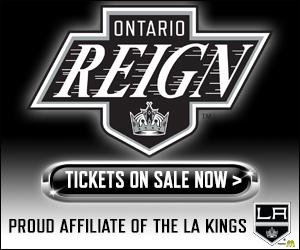 Both players were a part of the 2017-18 edition of the Reign, having spent the entire campaign with Ontario. Additionally, the team confirmed that forwards Brett Sutter, Jamie Devane and Kyle Bauman are still under contract with the Reign from last season via multi-year deals. Sutter and Devane signed multi-year deals during the summer of 2017 and are still under contract for next season. Bauman signed with Ontario in March of 2017 and his deal also extends to the 2018-19 season. 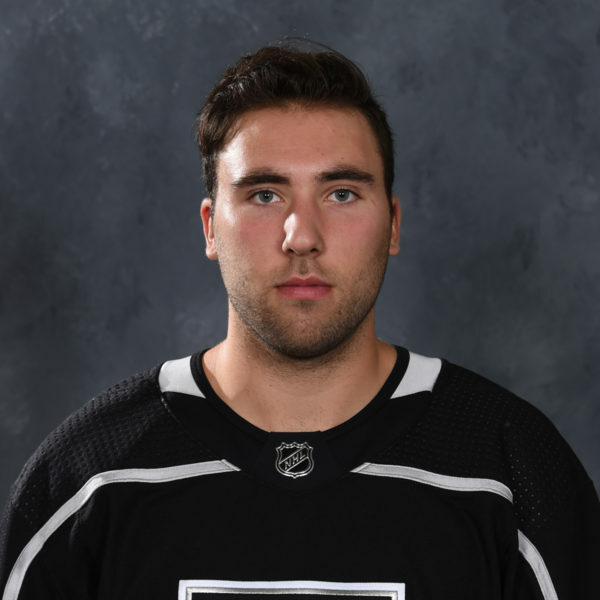 Forward Philippe Maillet returns to Ontario for his second full season with the Reign, his third in total. 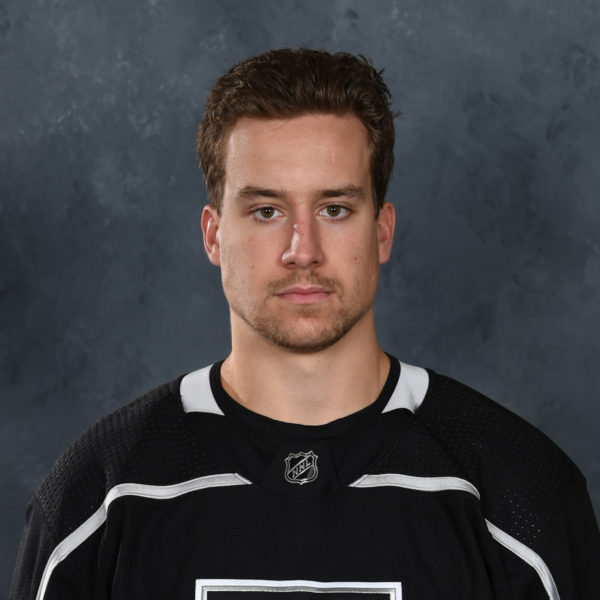 The 25-year old Maillet collected 36 points (18-18-36) from 64 games played with the Reign last season and ranked second on the team in goals and fourth in total points. 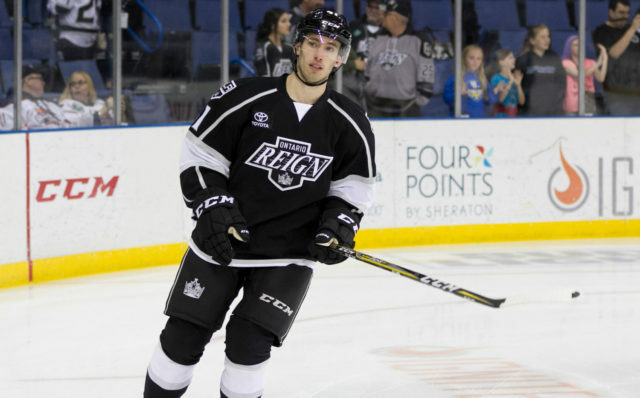 Maillet’s first full season with the Reign is really the tale of two seasons. The University of New Brunswick product collected just five points (3-2-5) and a -9 rating from his first 31 games played. The second half of the season, however, was a very different story. Maillet was one of Ontario’s top offensive producers down the stretch with 31 points (15-16-31) and a +10 rating from 33 games played in the second half of the season. Maillet led the Reign in goals during that stretch, was second in points, behind only T.J. Hensick (32), and his 15 goals were tied for tenth in the AHL throughout that 33 game-span. During this stretch, Maillet never went back-to-back games without picking up a point and had six multi-point games, including a Reign franchise record five points on 3/24 against San Jose. 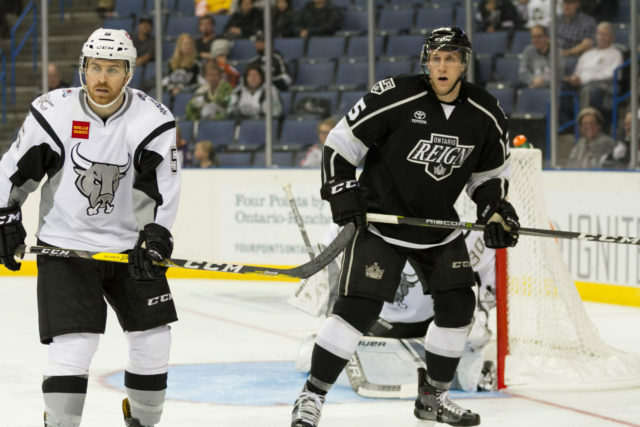 The 5-10 forward also collected a team-leading two goals during the 2018 Calder Cup Playoffs as he tallied twice in the Reign’s Game 2 victory. Forward Sam Herr returns to Ontario for his third full season with the only team he has skated for during his professional career. 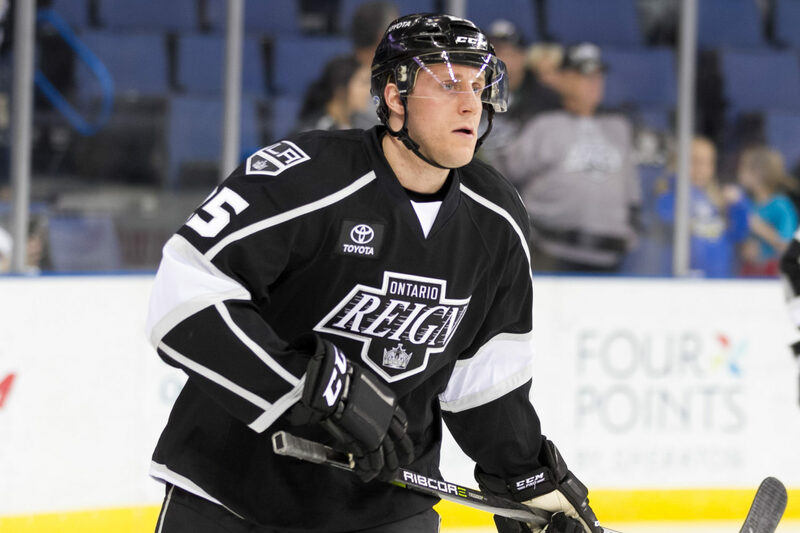 Herr originally joined the Reign at the end of the 2015-16 season after a four-season collegiate career at the University of Notre Dame and has been a member of the Reign ever since. Herr ranks ninth in Ontario franchise history with 125 career games played with the Reign, including 59 during the 2017-18 season. Herr amassed nine points (5-4-9) a season ago and has totaled 24 points (14-10-24) in his regular-season career with Ontario. The six-foot tall forward has also appeared in the Calder Cup Playoffs in each of the last three seasons, with three assists from 13 total games. 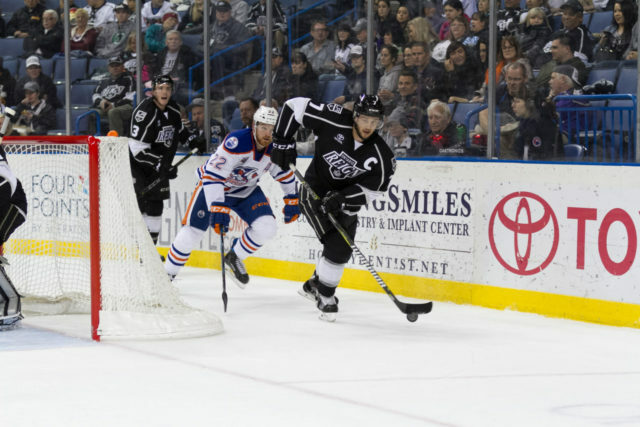 Leading the way amongst those returning on multi-year deals is team captain Brett Sutter, who comes back to the Reign for his fourth season, his third in full. Sutter originally joined the Reign in February of 2016 in a trade from the Iowa Wild and has played with the team ever since. Sutter has played in the fifth most games in franchise history to date and ranks fourth in franchise history in goals (38), sixth in points (77) and eighth in assists (39). Prior to last season, Sutter was named as the second captain in team history, succeeding Vincent LoVerde. For his efforts, Sutter was also named as a playing captain, alongside Binghamton’s Bracken Kearns, at the 2018 AHL All-Star Classic in Utica, his first ever appearance at an AHL’s midseason event. Sutter had previously captained the Charlotte Checkers for three seasons, from 2011-14, and captained his WHL team, the Red Deer Rebels, during the 2006-07 season. Throughout his career, Sutter has tallied 321 career AHL points (133-188-321) from 746 games at the AHL level with Quad City, Abbotsford, Charlotte, Iowa and Ontario. Sutter has also skated in 60 games in the NHL with Calgary, Carolina and Minnesota. 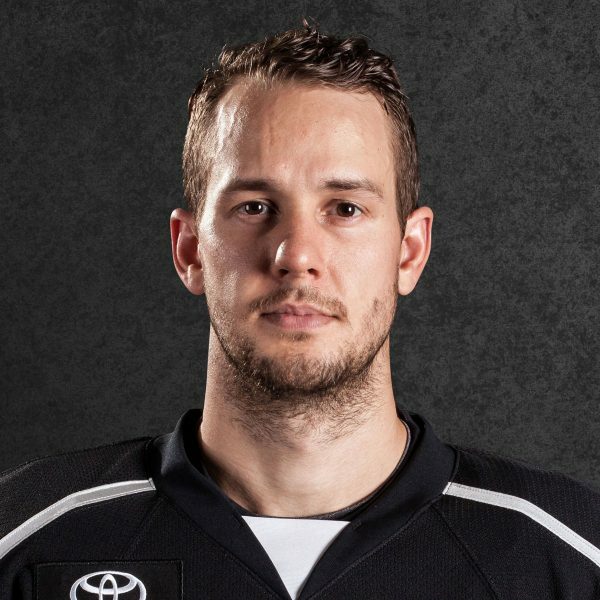 Since he began his professional career in 2007, no player has appeared in more games in the AHL than Sutter and no player currently signed to an AHL or NHL contract for the 2018-19 season has played in more AHL games than Sutter (Maxime Fortunus, 882 games played, has signed in Germany for 2018-19 season). Personally, Sutter is the son of former Kings Head Coach Darryl Sutter. Jamie Devane brings his veteran presence back to Ontario for another season. Devane skated in his first season with the Reign in 2017-18 and has totaled 277 regular-season contests in the AHL throughout his career with Toronto, Milwaukee, Stockton and Ontario. The 6-5 winger has tallied 44 points (18-26-44) in his AHL career and has also skated in two NHL games with Toronto, as well as 12 ECHL games with the now defunct San Francisco Bulls. Devane has been known to use his 6-5 frame to his advantage and led the Reign a season ago with 96 penalty minutes. Devane has amassed at least 75 penalty minutes in four of his last five seasons in the AHL, including a career-high 146 during the 2013-14 season with the Marlies when he led the team in PIM. 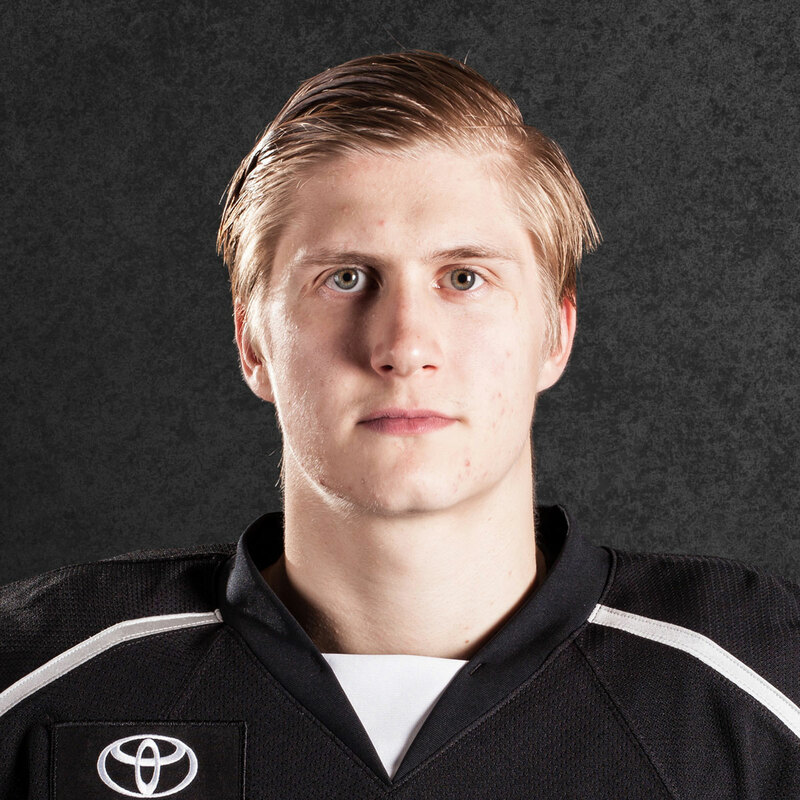 Kyle Bauman signed his first professional contract with Ontario towards the end of the 2017-18 season and made his professional debut on March 9 against San Diego. Overall, Bauman collected two points (1-1-2) from six regular-season games played, including his first professional goal on March 24 at San Jose and his first career professional assist on March 31 versus Bakersfield. The Apopka, Florida native also appeared in two games (Games 2 & 3) during the 2018 Calder Cup Playoffs. Bauman began his professional career after four seasons at Bemidji State University, where he amassed 89 points (37-52-89) from 148 career games played. The 5-10 forward ranks sixth all-time in Beavers history in games played and led the team in scoring with 30 points (9-21-30) during his senior season. Dating back to his freshman and sophomore seasons, Bauman was collegiate teammates with forward Cory Ward, who spent the majority of last season with Ontario.